Aasscher cut diamond was once considered a revolutionary concept when it was created and named after the Royal Asscher Diamond Company. However, it wasn't as exceptionally popular in the 19th century as it is today. Around 2002, asscher cut diamonds began to make reappearance in part because the cut modifications provided the shape more brilliance than the traditional asscher cut. Asscher cut diamonds radiate superb shine when you compare their facets to an ostensibly incessant hallway lined with reflective mirrors. The modern asscher cut diamond shares similar features as a square emerald cut. Both of them have smaller table, higher crown, and larger step facets. With proper positioning of the pavilion facets, you will notice that the asscher cut diamond have nice concentric squares. These qualities often produce more brilliance in asscher cut diamonds. The square shape of asscher cut combined with the cropped corners gives the asscher cut a unique octagonal shape. The diamond will maintain its shape within a square silhouette if placed in a four prong setting. 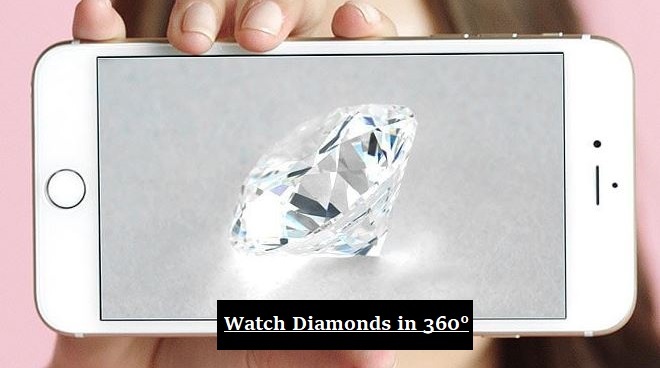 Sites like jamesallen.com can be very helpful in assessing Asscher cut diamonds because they have good 3D 360 40X Magnified Videos which can give you clear visuals of how diamonds look with different proportions. Try to play with their search filter and check out different diamonds so that you can get a clear sense of what might best be for you within a given budget range. The chart above serves as a general guideline when evaluating the cut of an asscher cut diamond. The length to width ratio of 1.00 is considered the classic cut for a square shape in asscher cut. However, slightly rectangular shapes do exist in asscher cut diamonds and a ratio of 1.05 or less will appear square to the naked eye. For that reason, every Petra Gems diamond includes length to width ratio, so our customers could make a rational decision when considering an asscher cut diamond. Just like evaluating the color in other diamond shapes, color in an asscher cut diamond is also subjective. Our experience indicates many buyers prefer the warmer colors over the cool colors. In the color spectrum, the warmer colors refer to G-I diamonds while the cool colors refer to D-F diamonds. The good side to that is the price premium for a lower color grade asscher cut diamond would be lower. For more detailed information on the color of asscher cut diamond, use the table below. Since asscher cut diamonds have open facets, it is recommended to buy a slightly higher clarity asscher cut diamond. Each of our customers have a unique standard for clarity and color. Some of our customers want a flawless diamond while others are perfectly comfortable with inclusions as long as they are not noticeable to the naked eye. GIA provides excellent help with their clarity grades, so you can use it to choose an Asscher cut diamond that will meet your expectations. SI1 would a great balance of price and appearance in an asscher cut. You can also consider buying VS2 for a comparable choice. 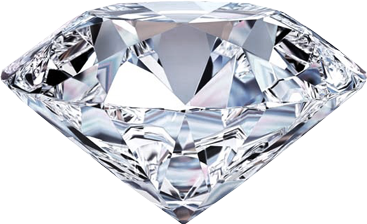 Be sure to check out our loose diamond page to compare prices on different sites.